THIS IS NOT HAPPENING is all about storytelling. 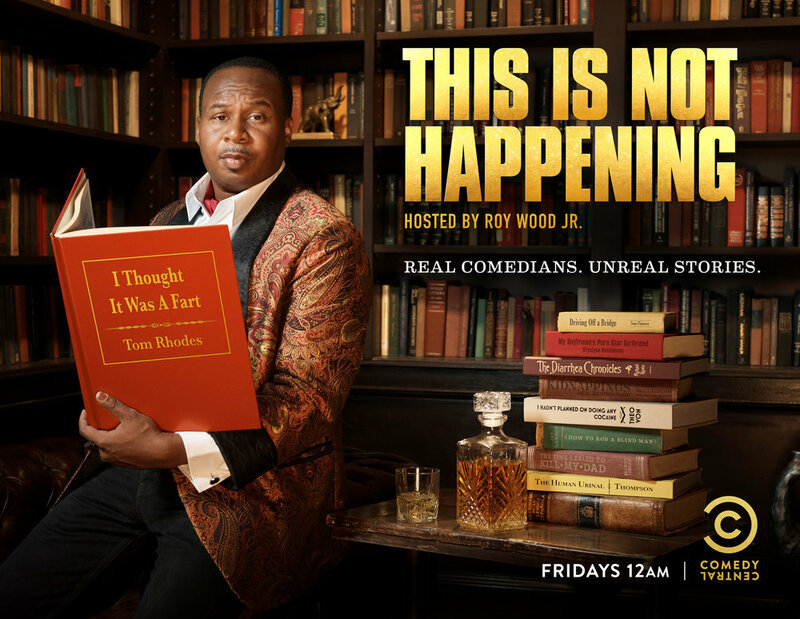 To capture the show’s premise, we shot the host, Roy Wood Jr., in a library enjoying a far from fictional tale about flatulence. We peppered in some additional comedic book titles in the regal, buttoned up setting of our key art.